I was in the mood for some Indian food, so I went to an Indian grocery stores and bought some of the spice boxes to make my own. These boxes are very good, and my Indian co-workers actually swear by them. All I really did was follow the instructions on the box. I think the ingredients for both dishes costed about $12, including a pack of multigrain pita that I bought to serve along side. 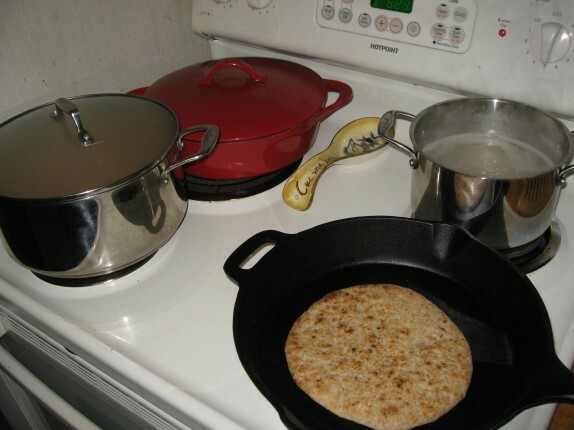 At one point, I had all four burners going with the chana masala, chicken mahkani (butter chicken), brown basmati rice, and a cast iron skillet to heat my pita. 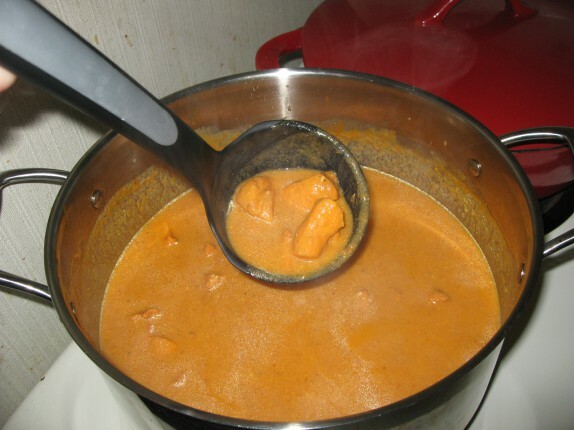 The butter chicken came out nice and velvety. I added Greek yogurt instead of heavy cream to try and save some calories and add some nutritive protein and carbohydrates instead of pure fat; it tasted a fair bit tangier than I expected because of this, but was rich and creamy. I didn’t miss the cream at all. I followed the instructions and let the chicken marinate in lemon juice for 30 minutes; I won’t be doing that again because it was too prevalent in the sauce. The chana masala also was delicious. 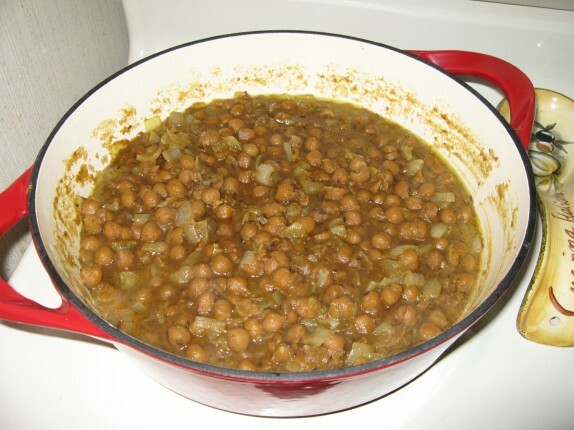 I started with dried chickpeas, soaked them overnight, boiled for a couple of hours, and then added the seasoning. Then I sauteed up the chana with a mixture of butter, olive oil (a slight modification to the recipe on the box), and an onion. 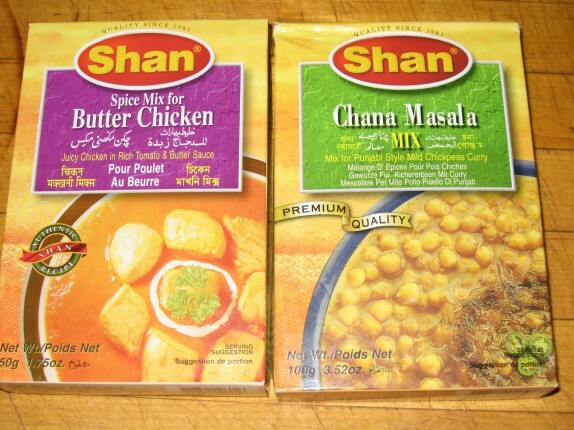 The Shan mix might have a little more cumin than I’d like it to, but otherwise, the chana masala comes out great. 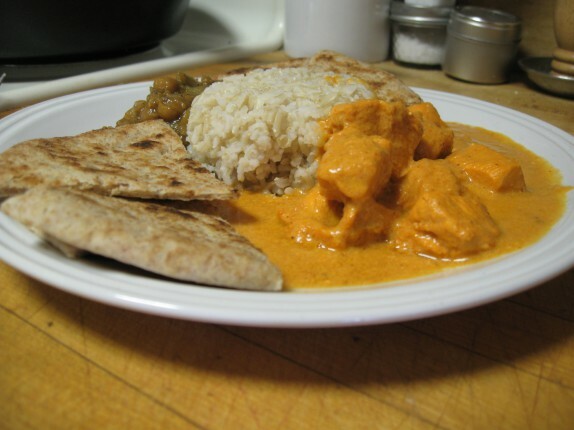 It’s also simple to reheat the refrigerated leftovers in a pot with a few tablespoons of water. 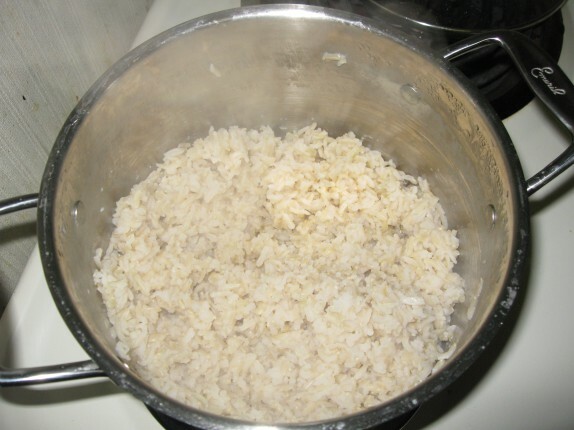 I like using brown basmati rice on the side. And I like serving everything on the same plate so the flavors mingle in spots. That’s where I like to use the pita to soak everything up. It was a commitment and a little bit of work, but for $12 for at least six servings, I really did good that day.